What would a site like From the Batcave be if we didn’t talk about the cave itself from time to time? 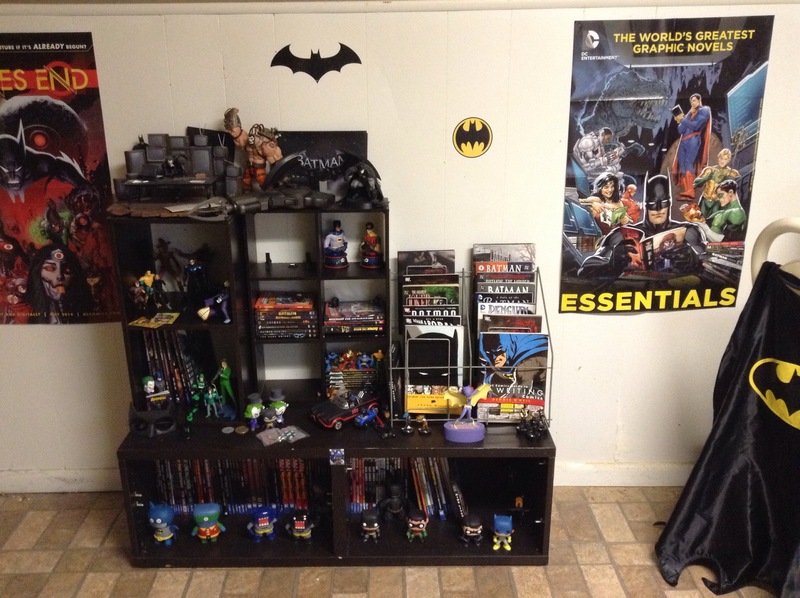 In this case, though, we’re not talking about Bruce’s Batcave– we’re talking about yours (and mine, for that matter!) 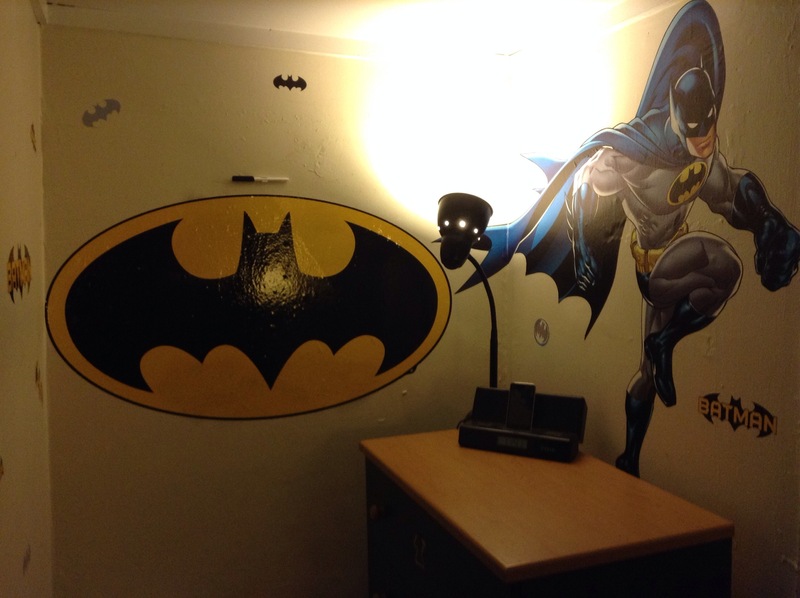 Just how can we, as Bat-fans, create the ultimate Batcave in our homes? 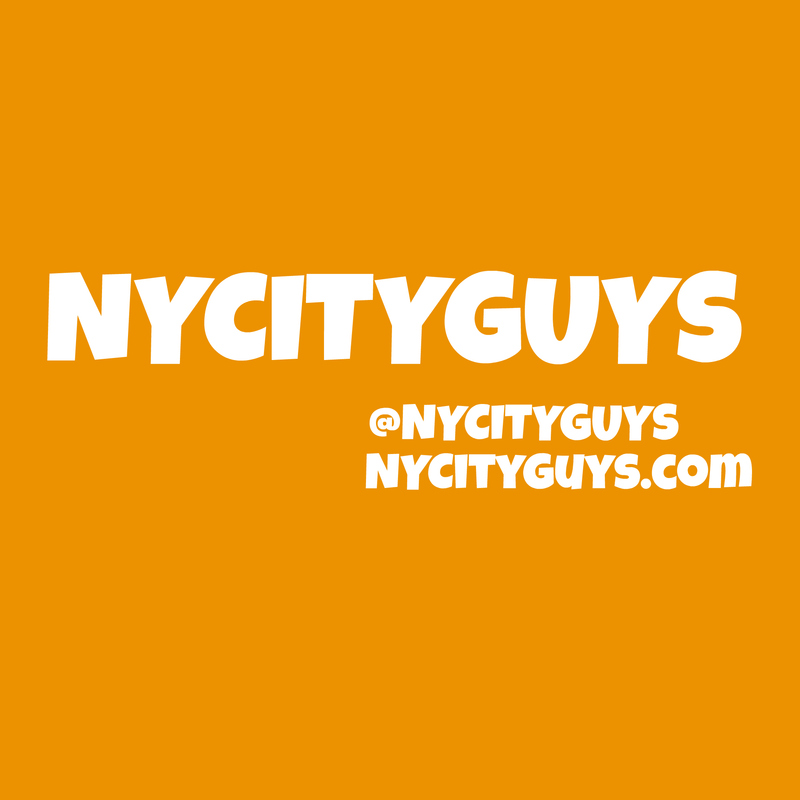 We’ve got some tips directly From the Batcave, so read on and find out! 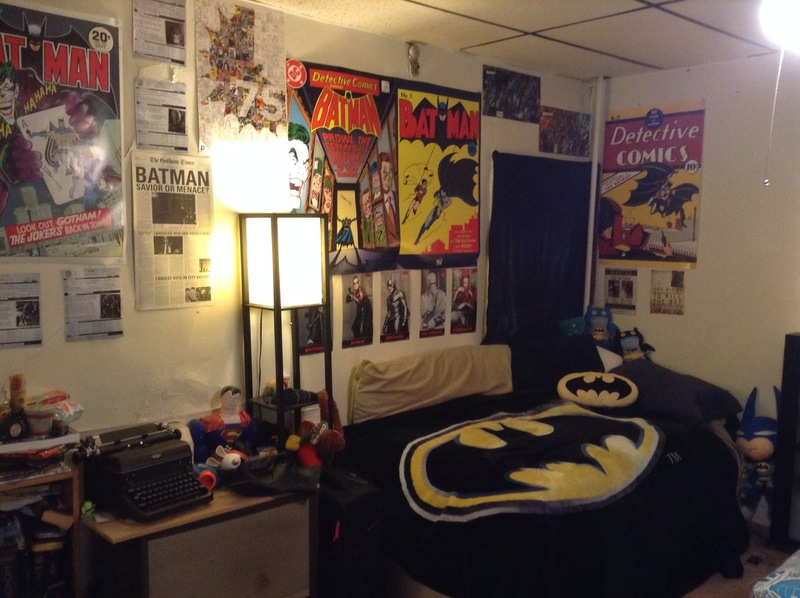 Aside from the awesome posters (why yes, those are character portrait mini-posters from Batman and Robin and no, I’m not ashamed of them… also, see point #1) the thing that really stands out here is the Bat-bed (I promise, I don’t actually call it that.) Still, popping one of these big cozy Batman blankets on your bed or couch and an accent pillow or two really changes the dynamic (duo) of a room. I’d also recommend some extra little accent items (like the DC UglyDoll Collection by GUND, seen just above the Bat-symbol pillow) to spice the place up and give it a classic, fun feel. Finally, when all is said and done, the ultimate Batcave has got to be home to some comics. 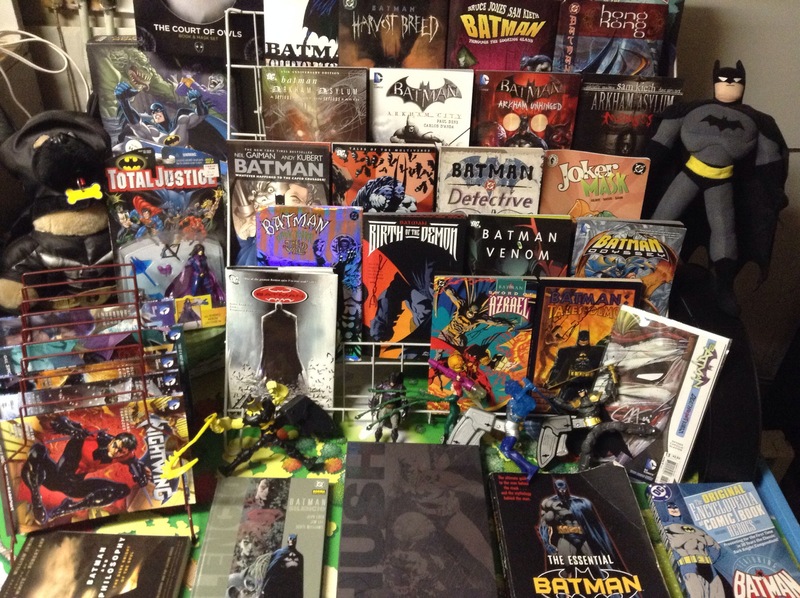 After all, the comic book (and graphic novel) is the true home to the Caped Crusader, so what better way to show your love for the character (and big ol’ comic book collection) than with a comic shop-style display rack? I actually got lucky and came by the display racks shown here and in point 3 when a teacher I know was getting rid of some old supplies, but I’m sure that if you search around on the internet or at your local furniture store or comic book shop, you could easily find something similar. In the meantime, get your news and reviews about all kinds of Bat-media right here From the Batcave and be sure to like From the Batcave on Facebook and follow us on Twitter, Tumblr, and YouTube to get the scoop first! 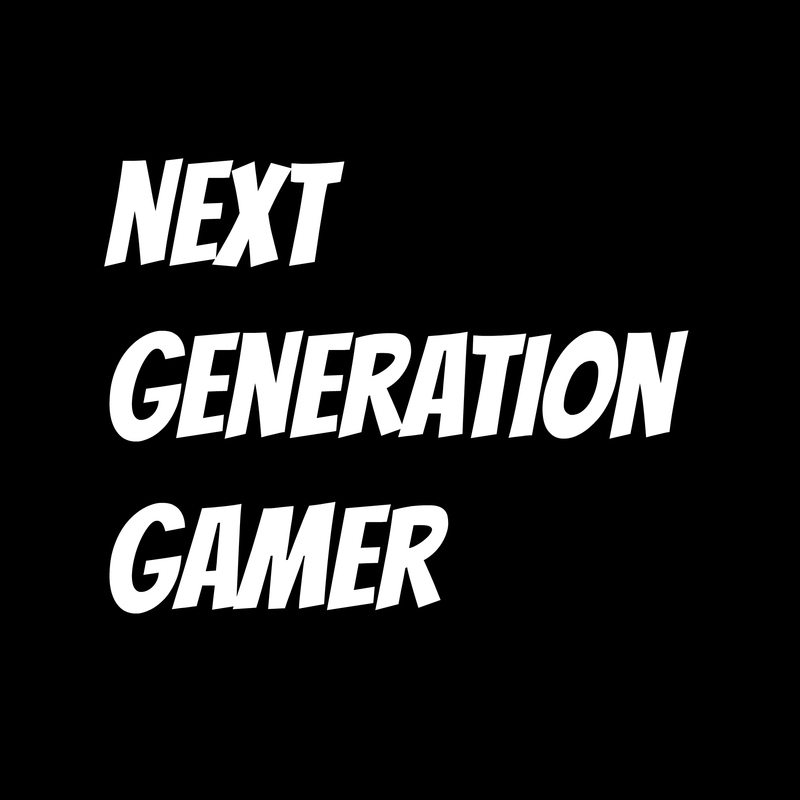 ← NYCC 2014: Exclusive Interview With “Lego Batman 3” Assistant Game Director Stephen Sharples!